Among Ireland’s most talented guitarists, Donogh is a Dubliner now living in Galway City. He was a member of the Sharon Shannon Band, with whom he recorded Out the Gap and Each Little Thing. 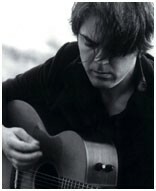 Donogh’s guitar playing can also be heard on Brendan Larrissey’s A Flick of the Wrist, Alan Kelly’s Out of the Blue, the Irish TV special Runway One, and a duet album with Mark Crickard.